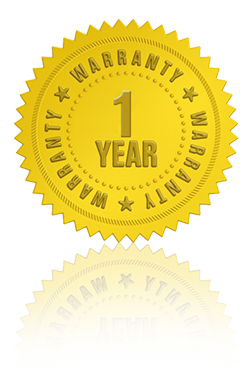 All of our products are backed by a one-year warranty. Many manufacturers offer their own warranty, and being a Factory Authorized Dealer you know that by shopping with us the factory warranty will be always honored. For products that aren't backed by a manufacturers warranty that meet our standards, Road Entertainment provides its own warranty. This way, you can shop with peace of mind, knowing that every product and purchase is covered by a full, 365-day warranty.